A second 10-100mm lens. 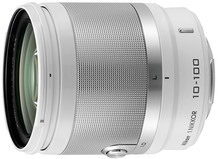 This is different than the previous one in being non-power (manual zoom ring) and more compact. If you want a lens for video production, see the other 10-100mm.